Last February tragedy struck in the Atlantic Ocean off of the Florida Keys when the body of 37-year-old Rob Stewart, a filmmaker from Toronto, was found after a fatal scuba diving expedition. Now, a couple months later, his family has filed a wrongful death lawsuit against Stewart’s dive organizers and others claiming that their negligence caused the filmmaker’s untimely death. A wrongful death lawsuit is a type of legal claim filed by the surviving family members of someone who passed away due to the wrongful or negligent act of another person(s). Wrongful death statutes vary a bit from state to state and differ slightly when it comes to which family members are entitled to file such a suit and what types of damages a successful suit can yield. 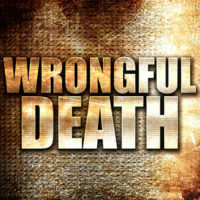 Florida’s Wrongful Death Act is continued in chapter 768 of the Florida Statutes and notes that a wrongful death lawsuit can be filed in Florida “When the death of a person is caused by the wrongful act, negligence, default, or breach of contract or warranty of any person… and the event would have entitled to person injured to maintain an action and recover damages if death had not ensured…” In other words, if the deceased individual would have been entitled to bring a personal injury lawsuit against the person who wronged them had they survived then a wrongful death lawsuit can be filed based on the deceased’s death. Blood relatives and adoptive brothers and sisters who were partly or wholly dependent on the deceased for support or services. If you’ve recently lost a loved one due to the negligence or wrongful act of another we are deeply sorry for your loss. Here at the Mander Law Group we understand how challenging it can be to pursue a wrongful death claim in the wake of losing a family member and strive to provide our clients with a measure of justice during this trying time. If you would like more information about filing a wrongful death lawsuit in Florida contact our Dade City office today to schedule a confidential consultation with one of our experienced wrongful death attorneys.